Our community comes to us with its problems and we reach out to strategic partners whose expertise makes them the perfect solution providers. Our strength lies in the relationships we’ve developed in Thailand and globally – whether they are with government officials, businesses or people in communities who know how to get things done. If you, your company, or your organization have expertise solving the types of problems that our communities confront, please contact us. There is so much to be done! Always Reading Caravan, a Japan-based literacy organization, came to Phrao at the invitation of Warm Heart and operates under our umbrella in Thailand. These pre-schools are the front end of the new system we are developing to ensure the success of minority children in the Thai educational system and in life. 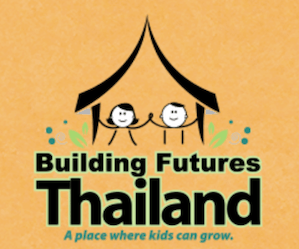 Our strategic partners Building Futures Thailand does just that – it builds schools and libraries for kids who do not have such essentials. 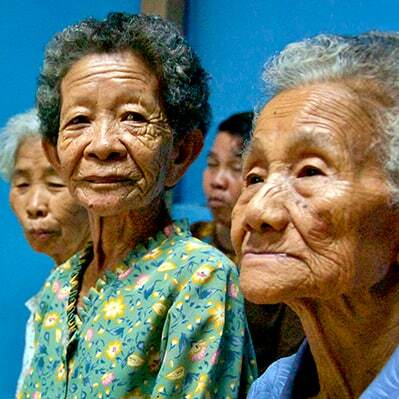 The organization started in the aftermath of the tsunami that ravished to west coast of Thailand. Founder Kris Edwards asked herself what she could do to help, and standing in the ruin of a school flattened by the great wave, she decided that she would rebuild schools. By 2014, the job was done, but rather than quit, she looked further afield and found Warm Heart. 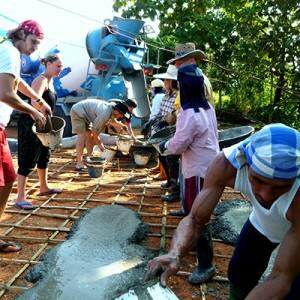 No tsunami destroyed the educational infrastructure of Phrao; we never had much to start with. 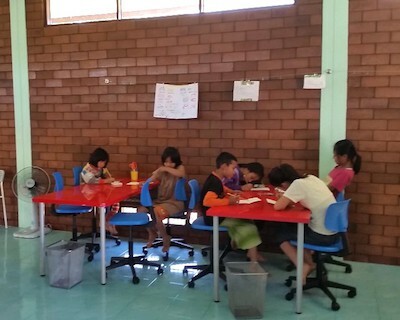 By November, Building Futures Thailand had constructed Barb’s Place, a large community education center and public access computer lab serving all of Phrao – and named for Kris’ mom, Barbara, a dedicated teacher. Warm Heart has developed strategic partners with three university chapters of Engineers Without Borders and one professional chapter to solve community drinking water problems. Philanthropy Connections identifies successful and worthy nonprofits in need of funding and connects caring and committed donors to these programs. It is the innovative creation of Sallo Polak to solve one of the biggest problems dogging the nonprofit sector. There are lots of excellent but small nonprofits doing great work that no one has heard of – and lots of would-be philanthropists who do not want to give to big, anonymous organizations, but have no way of knowing which of thousands of small nonprofits are for real. Philanthropy Connections studies hundreds of nonprofits and suggests a few dozen as “donate-able.” This is how we met Vivid and Roger Lee, philanthropists from Taiwan who wanted to do something that would make a big and lasting impact in the lives of the elderly. With our strategic partners at Philanthropy Connections together we renovated an old primary school to create the first community senior center in Phrao. Knowing the importance of providing wheelchairs to those in need, Luc Maastricht, a wheelchair user himself, founded The Wheelchair Project. The Wheelchair Project operates out of The Rajanagarindra Institute of Child Development, the one hospital serving developmentally disabled children in Thailand’s 17 Northern provinces. Confined to work within the hospital system, The Wheelchair Project cannot access the great majority of rural people who need help, so Warm Heart helps to expand Luc’s reach. 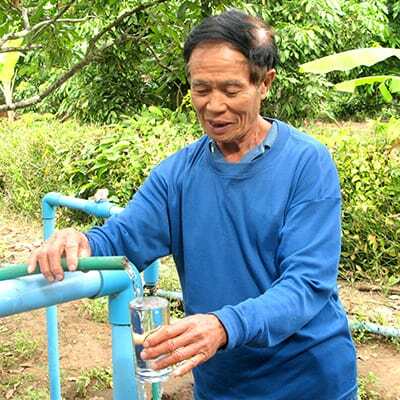 With our knowledge of every elderly and disabled person in Phrao, working with our strategic partners at The Wheelchair Project we can bring truckloads of people in need of wheelchairs to Luc and his team who can then outfit them. Today we are almost done in Phrao and he is trying to decide which district we should do next. Trekking for Kids is a remarkable organization, one of the most unique tour operators in the world. We are very happy they are among our strategic partners! Sign up for one of Trekking’s tours and you pay for the tour, donate $1,000 to a project to help children that will be part of the tour and commit yourself to raising as much more money as possible. In 2013 Trekking chose Warm Heart as their project and transformed our children’s homes. Trekkers’ donations doubled the size of our dining room and provided the materials to build our gorgeous new girls’ house from mud and straw, affectionately dubbed the “mud palace” by the Warm Heart girls.